These are replacement blades for the Van Hoesen/ Hunt Profiler. 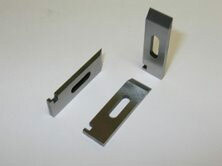 They can be purchased in D-2 tool steel or in powdered metal. 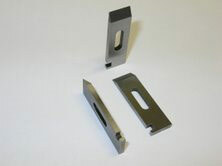 Carbide tipped blades have been discontinued because powdered metal blades perform better in this application. Choose blade type in "type" pull down menu.